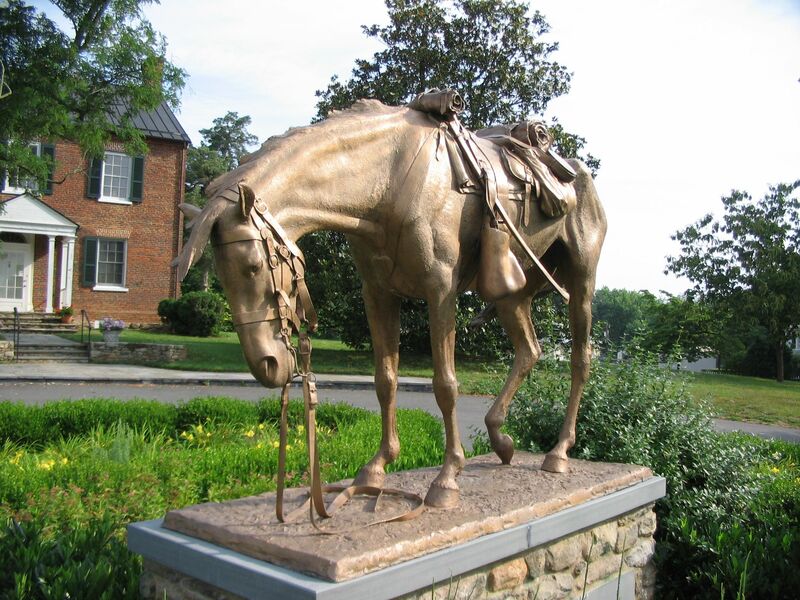 Additional Description: Behind the National Sporting Library in Middleburg, this memorial recognizes the equine participation in the American Civil War. The inscription reads, "In Memory of the one and one half million horses and mules of the Confederate and Union armies who were killed, were wounded, or died from disease in the Civil War many perished within twenty miles of Middleburg in the battles of Aldie, Middleburg, and Upperville in June of 1863." Submitted: June 30, 2007, by Craig Swain of Leesburg, Virginia.